Life saving supplies for 3 day. 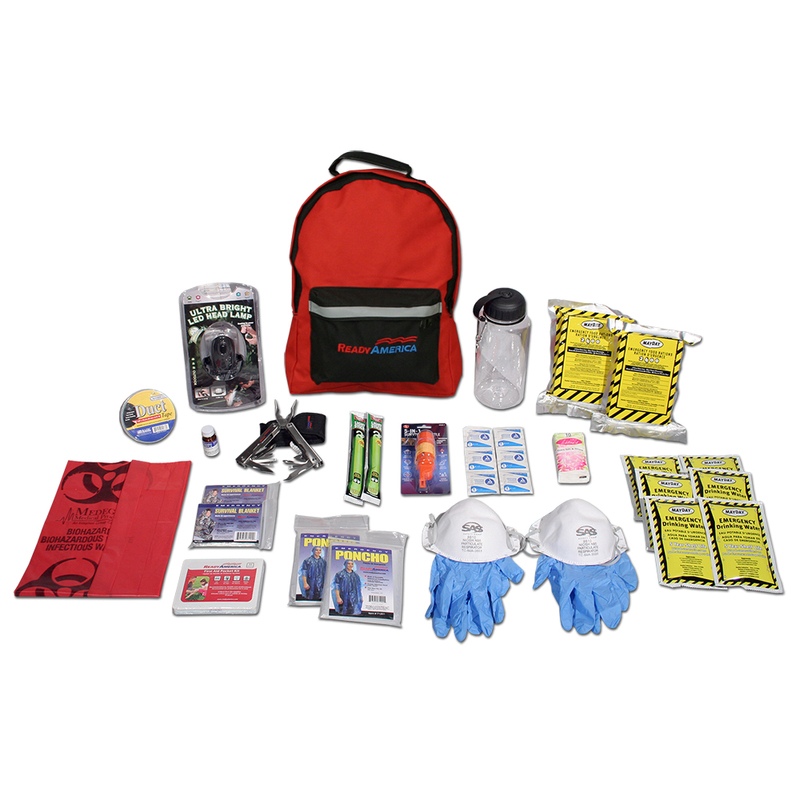 This 2 Person 3 Day Emergency Kit Plus was designed by Ready America to offer additional items to those that want their emergency kit to go the extra mile. Along with the basic essentials for survival (5-year shelf life food & water), this kit includes items such as an LED hand-crank headlight, multi-fuction tool, a 5-1 whistle, and more.